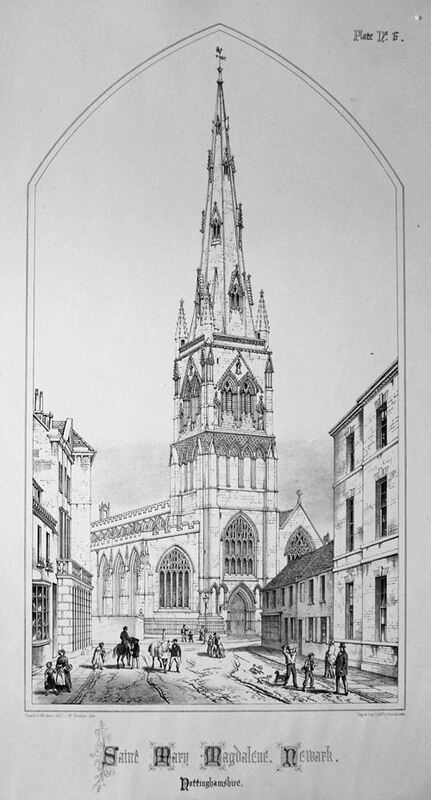 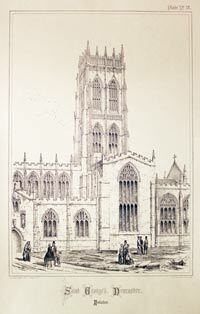 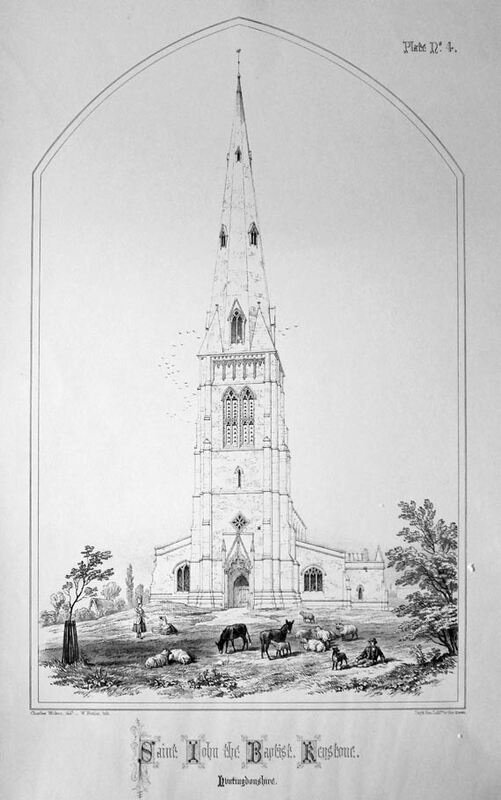 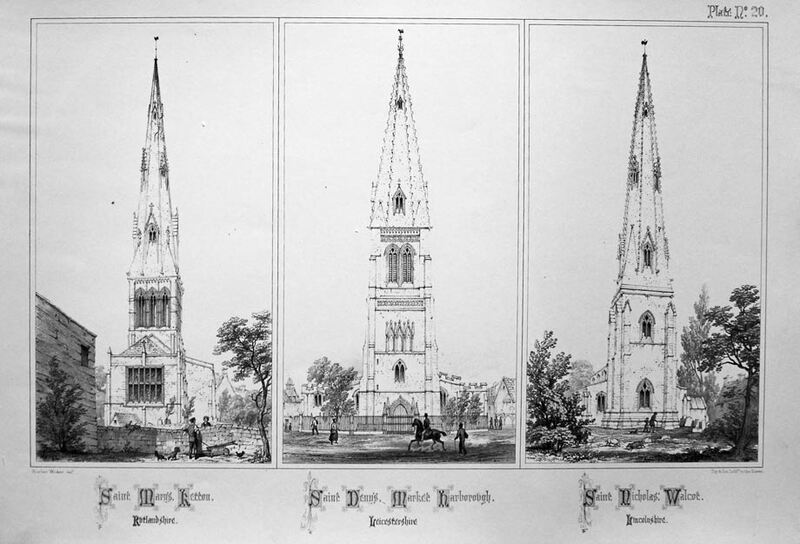 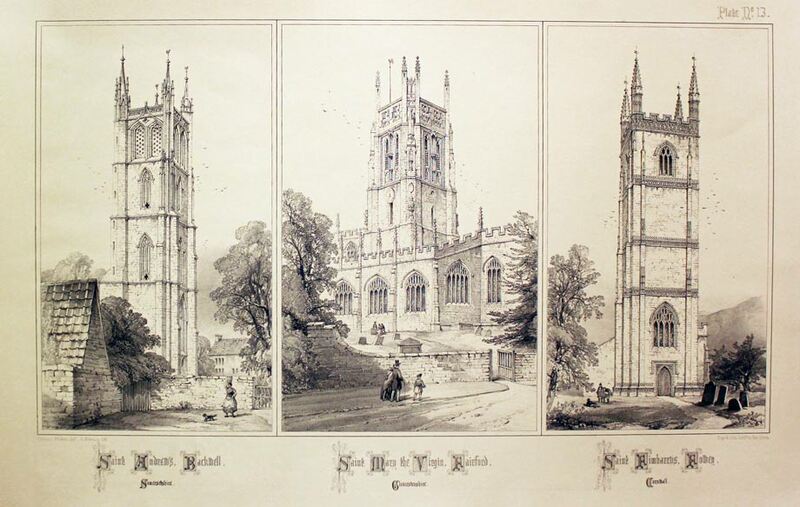 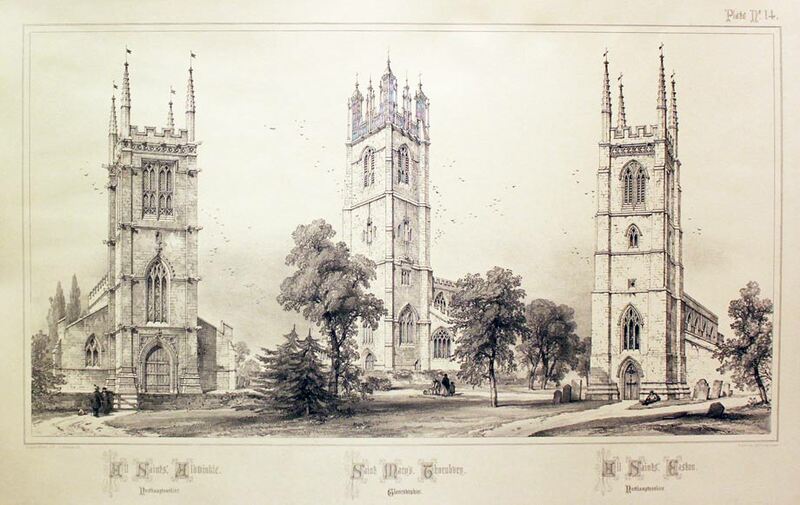 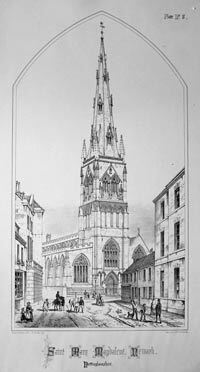 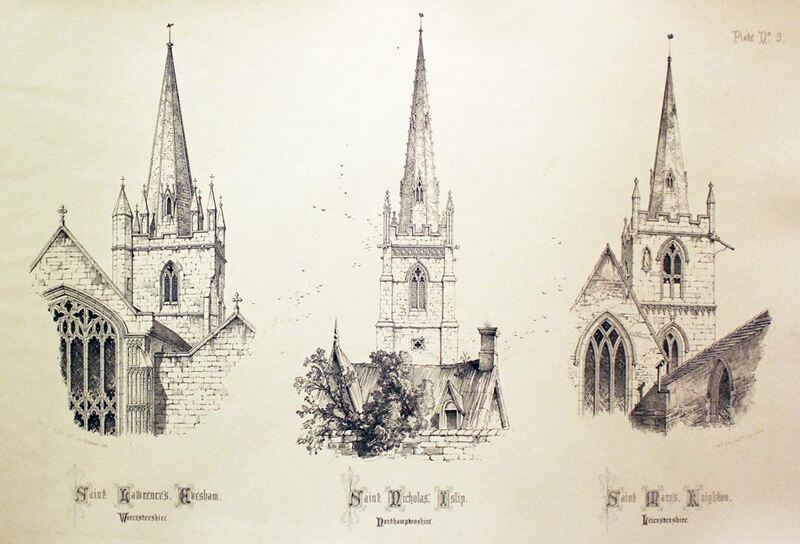 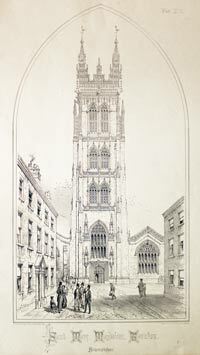 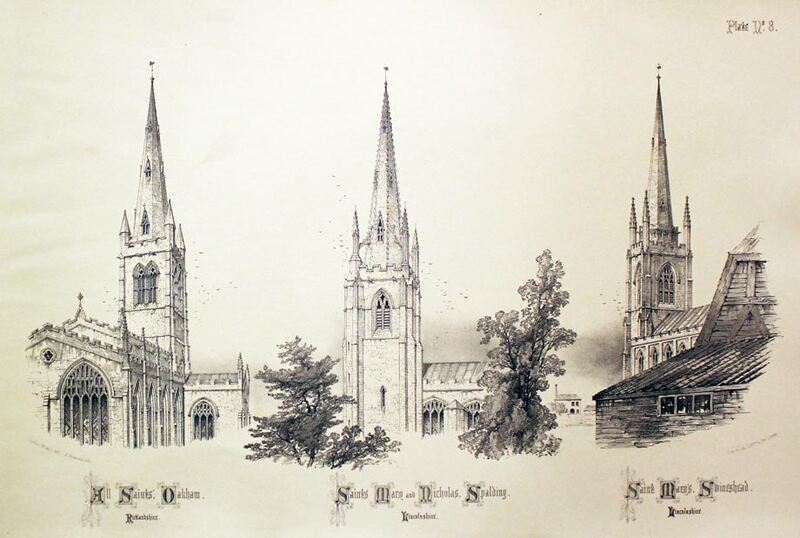 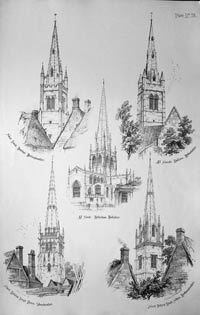 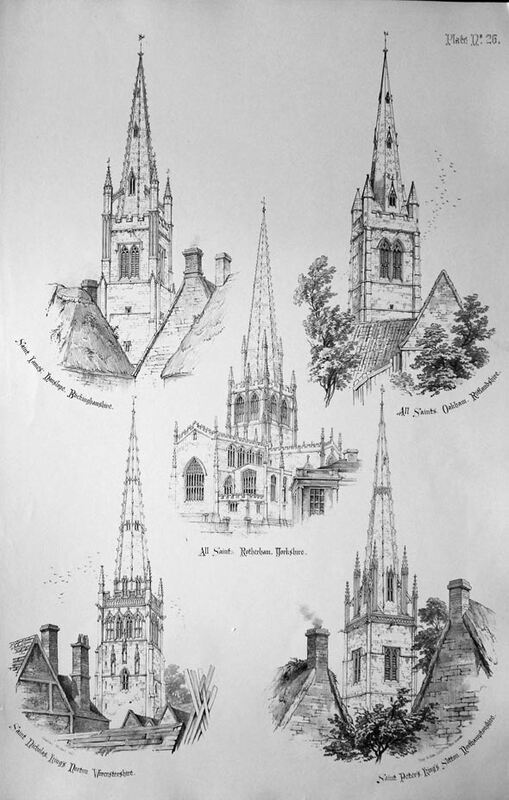 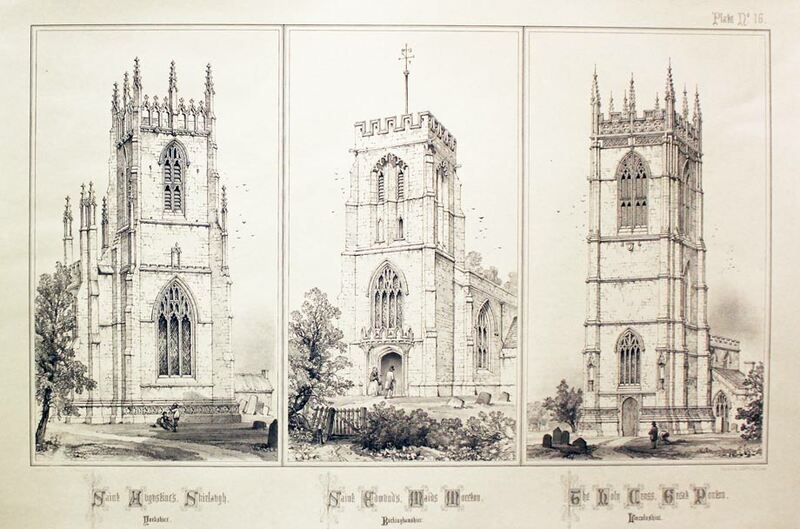 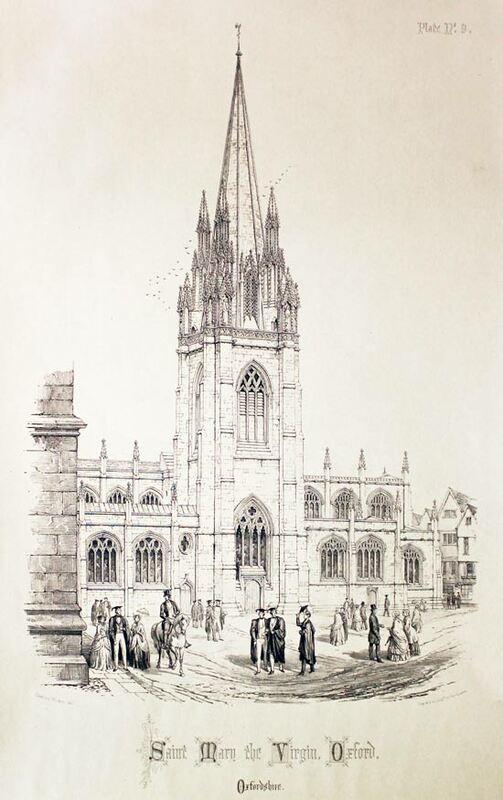 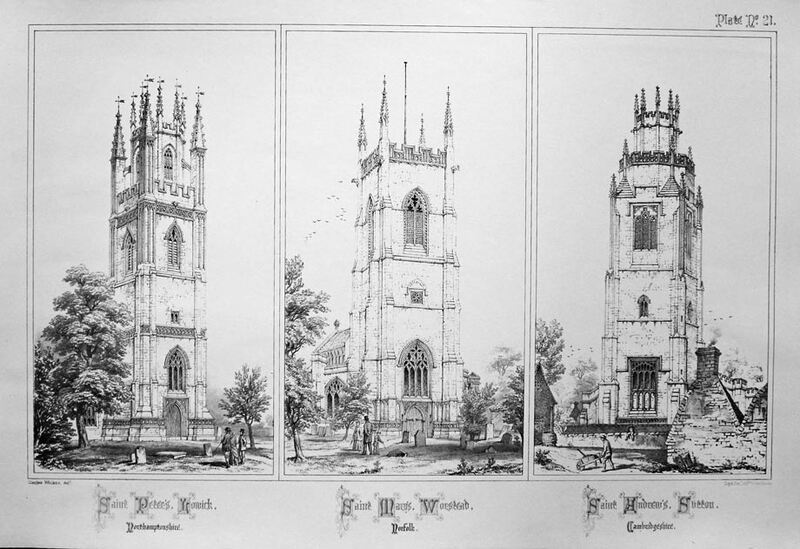 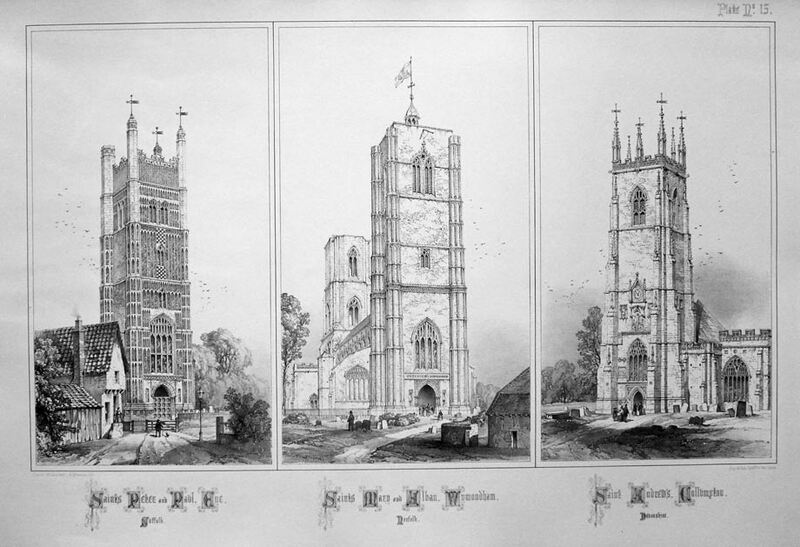 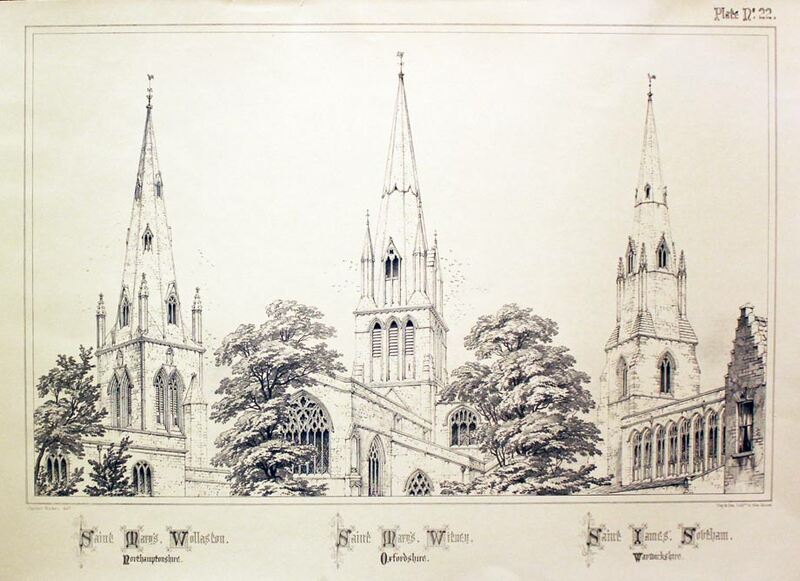 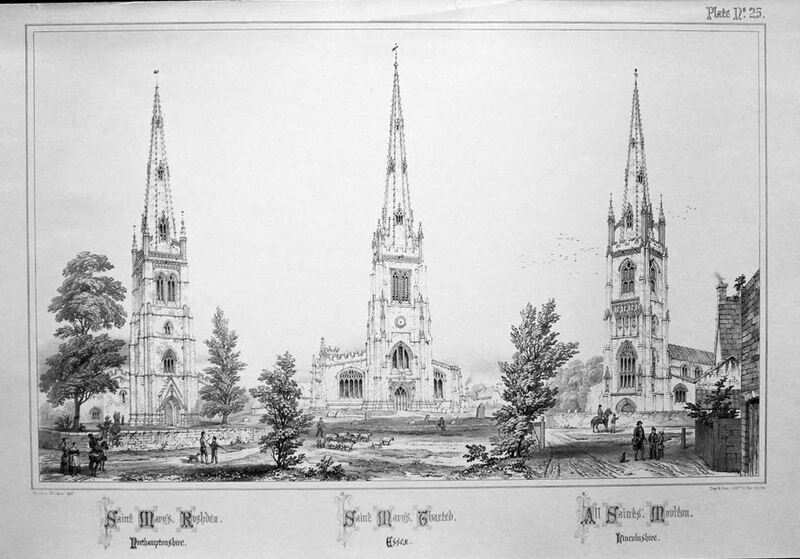 A series of large uncoloured lithograph views of English Churches by the Victorian architect Charles Wickes and published in London by William Mort Thompson, 32 Sackville Street and Acermann and Company, 96 Strand. 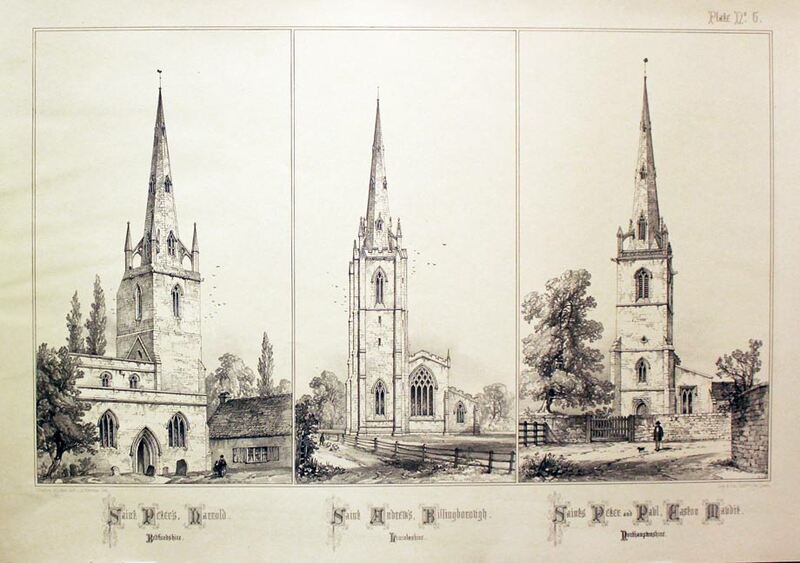 Some prints are of single churches and are embellished with interesting figures of the period. 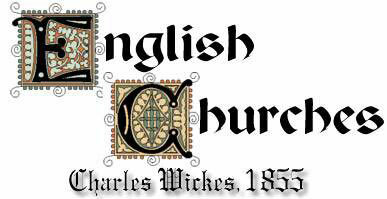 Sizes are in the region of 12 1/2 x 18 inches plus a title in decoratibe gothic lettering. 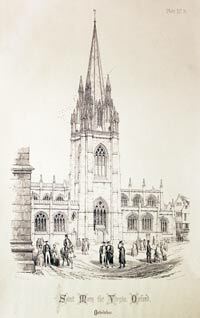 Other prints display more than one church, some in the form of individual vignettes and others where each scenes has been fused together to make one. 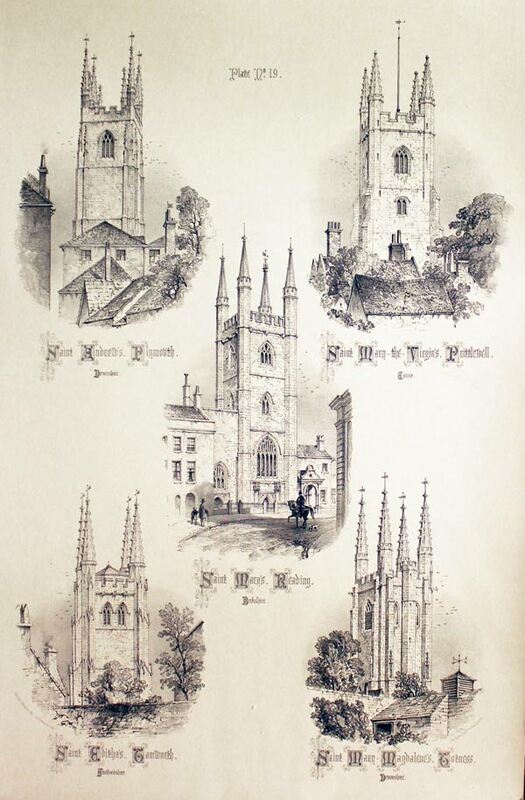 All in nice clean condition. 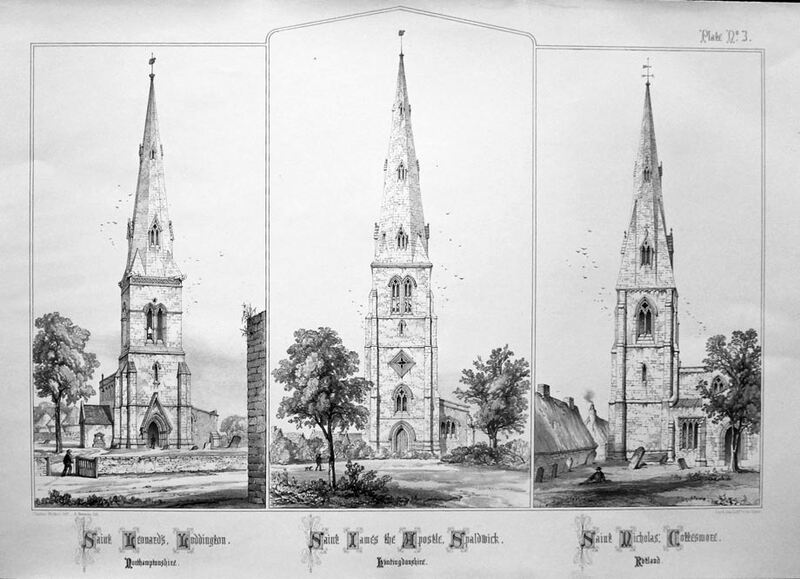 Saint Mary- Magdalene's, Totness, Devonshire. 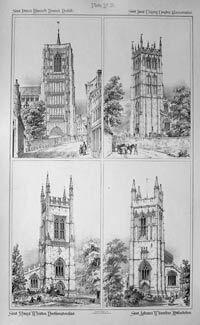 Saint Mary the Virgin, Kingston, Somersetshire. 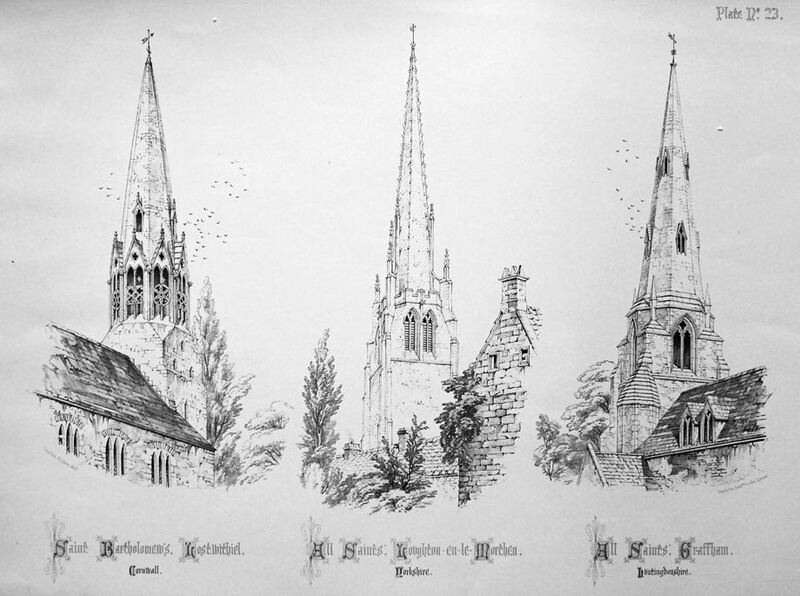 Saint John the Baptist, Kenstone.